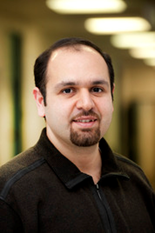 Mehdi Tahoori is currently a Full Professor and the Chair of Dependable Nano-Computing, Institute of Computer Science and Engineering, Department of Computer Science, Karlsruhe Institute of Technology, Karlsruhe, Germany. He received the B.S. degree in computer engineering from the Sharif University of Technology, Tehran, Iran, in 2000, and the M.S. and Ph.D. degrees in electrical engineering from Stanford University, Stanford, CA, in 2002 and 2003, respectively. In 2003, he was an Assistant Professor with the Department of Electrical and Computer Engineering, Northeastern University, where he became an Associate Professor in 2009. From August to December 2015, he was a visiting professor at VLSI Design and Education Center (VDEC), University of Tokyo, Japan. From 2002 to 2003, he was a Research Scientist with Fujitsu Laboratories of America, Sunnyvale, CA. He has authored over 300 publications in major journals and conference proceedings on a wide range of topics, from dependable computing and emerging nanotechnologies to system biology, and holds several US and European patents. He is currently the editor-in-chief of Microelectronic Reliability journal, associate editor for IEEE Design and Test Magazine, coordinating editor for Springer Journal of Electronic Testing (JETTA), and associate editor of IET Computers and Digital Techniques. He is the program chair of VLSI Test Symposium 2018 and General Chair of European Test Symposium 2019. Prof. Tahoori was a recipient of the National Science Foundation Early Faculty Development (CAREER) Award. He has received a number of best paper nominations and awards at various conferences and journals. Flexible electronics is an emerging and fast growing field which can be used in many demanding and emerging application domains such as wearables, smart sensors, and Internet of Things (IoT). Unlike traditional computing and electronics domain which is mostly driven by performance characteristics, flexible electronics are mainly associated with low fabrication costs (as they are used even in consumer market) and low energy consumption (as they could be used in energy-harvested systems). Printed electronics offer certain technological advantages over their silicon based counterparts, like mechanical flexibility, low process temperatures, maskless and additive manufacturing possibilities. However, it is essential that the printed devices operate at low supply voltages. Electrolyte gated field effect transistors (EGFETs) using solution-processed inorganic materials which are fully printed using inkject printers at low temperatures are very promising to provide such solutions. In this talk, I discuss the technology, process, modeling, fabrication, and design (automation) aspects of circuits based on EGFETs. I show how the measurements performed in the lab can accurately be modeled to be integrated in the design automation tool flow in the form of Process Design Kit (PDK). I also review some of the remaining challenges with this technology and associated design implications.